GREENBELT, Md. — A man accused of plotting an ISIS-like terror attack in Prince George’s County was ordered detained until further hearings by a federal judge at a detention hearing in Greenbelt, Tuesday. 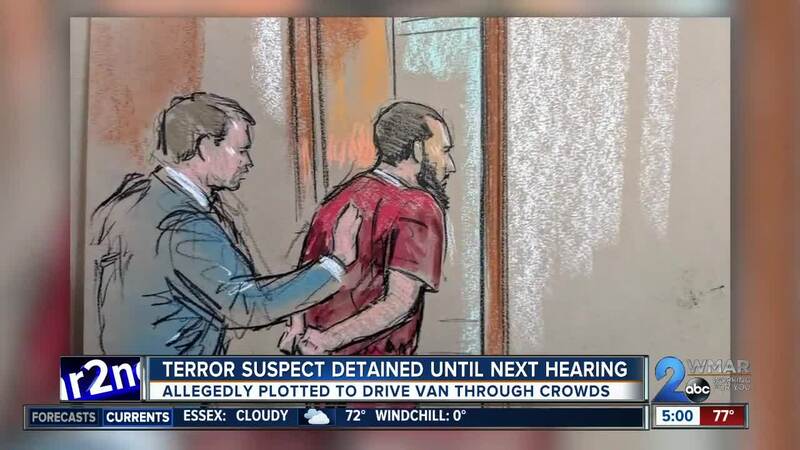 Rondell Henry was arrested and accused of planning to steal a U-Haul van so he could use it as a weapon in a terrorist attack , said the United States Attorney for the District of Maryland, Robert Hur, in court filings. Henry modeled his plan after a 2016 terror attack in Nice, France, in which a man drove a truck through crowded streets , eventually killing 84 people. “This defendant appears to have formed a plot to harm large numbers of innocent people and taken concrete steps to execute that plot,” Hur said after the hearing. Henry originally planned to attack people with his own car, but thought that would not inflict enough damage, instead stealing the U-Haul van in Virginia, court documents said. After unsuccessfully attempting to breach security at Dulles International Airport, Henry instead headed for National Harbor, but at the early morning hour when he arrived, he felt the crowd was too small to warrant an immediate attack. Instead Henry parked, broke into a boat to wait until the evening for his attack, and was later caught scaling a fence by the boat dock. Investigators said Henry studied ISIS beliefs and propaganda. Henry had discarded his phone during his attempted attack, and when authorities found it they discovered images of ISIS fighters, the ISIS flag, and the Pulse nightclub shooter , another self-radicalized attacker. The early, coordinated intervention by law enforcement thwarted the potential threat, said Prince George’s County Police Chief Henry Stawinski III. He said the county and National Harbor are safe venues people should not be worried about visiting.